Modern Family Season 3 Episode: 6 - Go Bullfrogs! Modern Family Season 3 Episode: 14 - Me? Jealous? Modern Family Season 6 Episode: 17 - Closet? You'll Love It! Modern Family Season 8 Episode: 12 - Do You Believe in Magic? 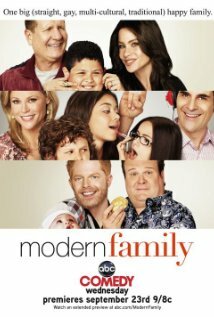 Modern Family Season 9 Episode: 20 – Mother!